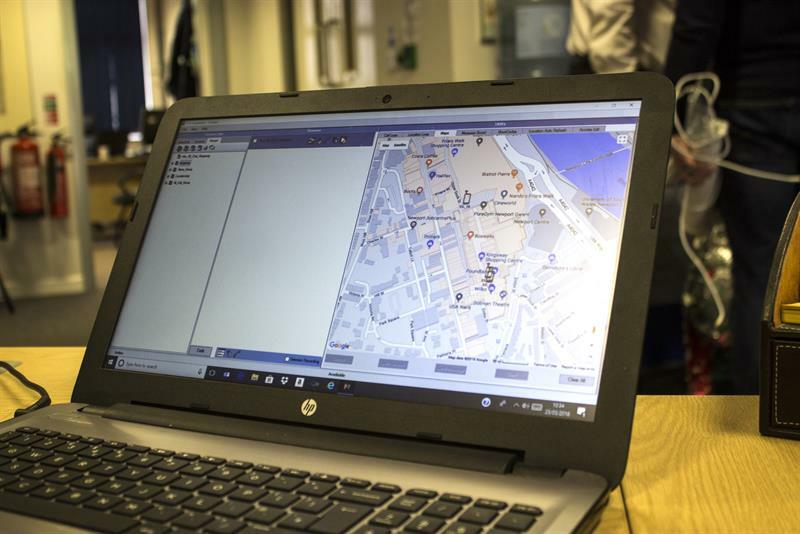 Kingsway has 10 SY580 PoC handheld terminals on site with a dispatcher software installed on a laptop in its office (shown below). The shopping centre is on the EE cellular network, running through an external APN and is running on firmware version 2.7.2. The system has been up and running since 1 March and a coverage survey was performed prior to installation. No cellular infrastructure installed or needed, although a gap in cellular coverage is present in the building’s basement and when working there, the users’ devices use the centre’s Wi-Fi network. Phil Bayliss, Ninehundred Communications’ senior account manager, said that that the service adheres to both 3GPP and OMA-POC standards and that the servers providing the services are housed in a secure server centre with “direct links to the mobile networks”. The system also uses fixed IP address, which “helps with resiliency and the traffic on the network). The ability for wider area communications was essential. Along with the dispatcher and services available through that at a hugely lower cost compared to a radio equivalent. The shopping centre’s management team had looked at PoC years beforehand but at that the time the mobile network coverage was not strong enough and the devices were not ideal for the security team. It has become a much better proposition now that the correct devices and 4G networks are available.